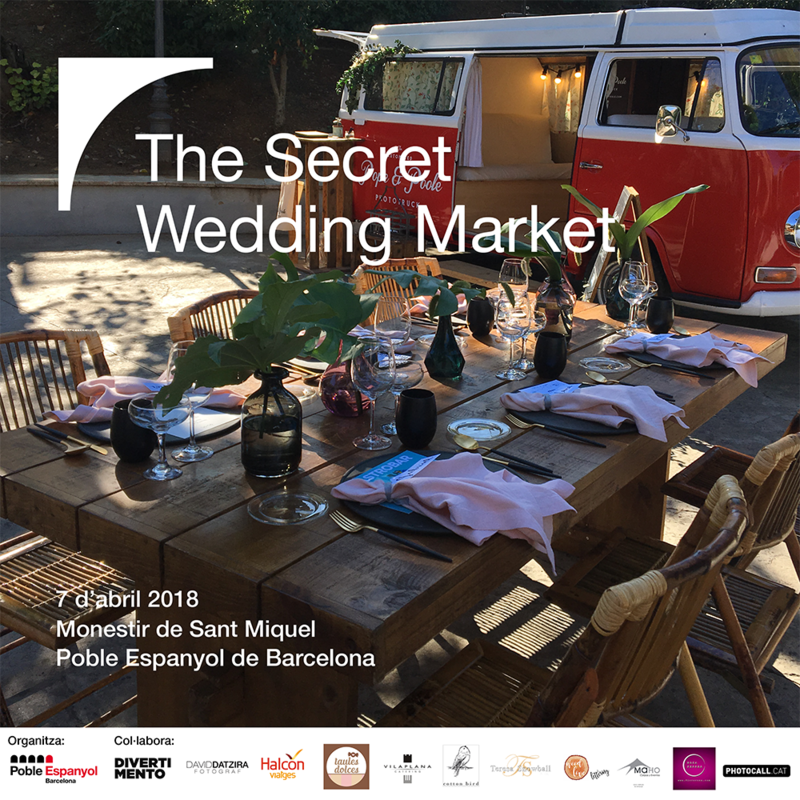 Next April 7 we will be in The Secret Wedding Market. The new market will be located in the Monestir de Sant Miquel in El Poble Espanyol, a unique space in Barcelona, ? ?with a romantic cloister, impressive views of the city and great versatility so that you can tailor your great day. The Secret Wedding Market will be a meeting for bridal couples where companies from the bridal sector will be able to advise you and give you ideas for your wedding. Among them, we will be.